Could eating dirt actually make you healthier? One of the best books I have recently read is “Eat Dirt” by my good friend Dr Josh Axe. I have known Dr Axe since graduate school where we were both part of the same organization. He is a really smart, compassionate guy with a huge heart to help people. He sent me an advanced copy of his book and I was really impressed. He goes into detail on the importance of the microbiome, the benefits of soil based microorganisms and 5 specific gut types and the proper diet and lifestyle principles to improve a wide variety of digestive health and chronic inflammatory conditions. The most important condition Dr Axe discusses is leaky gut or intestinal permeability syndrome. This is where the intestinal lining becomes damaged and tears allowing food particles and microorganisms to get into the blood stream. This results in chronic inflammation and autoimmunity. Dr Axe goes into detail on how the use of soil based organisms and specific superfoods and supplements helps to repair the gut lining and reduce inflammation and autoimmunity. Here is my review of the book and the benefits of eating dirt! For most of the history of mankind, we lived in close contact with the Earth. The majority of our diet consisted of foods and water that had soil clinging to it. This soil was not an inert substance but was a dynamic mineral rich, probiotic infused source of electrochemical energy. The unique soil based probiotic organisms were one of the key components that gave the soil its powerful nutritional benefits. Humans are the only species on the planet that does not intentionally consume soil. Our ancestors always had soil in their diet through picking produce out of the ground and drinking from lakes, rivers and streams. Many original doctors and medicine men would use soil in their various healing concoctions. Today, we intentionally look to sterilize our food and avoid the consumption of soil. Therefore, we are no longer eating the dirt that was so healthy for our ancestors. For years, antibiotics and chemical based anti-microbial agents were the norm and used everywhere. Today, we are facing a huge health threat with anti-biotic resistance as these microorganisms have outsmarted modern medicine. What is the solution? It is look back to nature and find ways to get more of the soil based microorganisms (a modern way of eating dirt) into our lifestyle. We can also supplement with specific soil based probiotic blends such as SBO Probiotic which our ancestors would have gotten by eating dirt on their foods. Animal stock bones contain a bunch of nutrients that modulate the immune system and reduce inflammation. They also have collagen protein and key amino acids such as glycine and proline that help to cleanse the body and heal the gut lining. These herbs include ashwagandha, rhodiola, Panex ginseng, maca, astragalus, cordyceps, reishi mushrooms, holy basil, Siberian ginseng, etc. Adaptogens have a powerful effect at enhancing our bodies ability to adapt to stress by modulating our stress response and improving our ability to attain balance and homeostasis. These are foods that contain both probiotics and prebiotics as well as organic acids and prebiotics that help the microorganisms to survive and thrive. These fermented foods have incredible benefits and help to support the development of a healthy gut lining and improve our immune tolerance and thus, lower inflammation and auto-immunity. Examples of fermented foods include sauerkraut, kimchi, pickles, grass-fed cow and goat kefir, coconut water kefir and pickled ginger. These can contain trillions of probiotics per serving and contain the “sour” taste of organic acids that provide a healthy environment for these microorganisms to thrive in our body. These foods are natural and safe way of eating dirt. Remove: Get rid of processed foods and inferior supplements as well as toxic household cleaning products and personal hygiene products. The major gut irritants include wheat and other grains, commercial cow’s milk, sugar, hydrogenated oils and GMO foods. Reseed: Use fermented foods, probiotic supplements and soil based organisms to provide good microorganisms to rebuild your bodies microbiome. These foods are a way of naturally and safely eating dirt. Restore: Eat gut healing foods such as organic fruits and vegetables, bone broth, fermented foods & beverages, coconut products, wild-caught salmon, sprouted nuts and seeds and high fiber foods. Reseal: Use key supplements such as digestive enzymes, L-glutamine, collagen protein, frankincense, colostrum, aloe vera, etc. to help improve the healing of the gut lining. This is related to a yeast overgrowth and is common with people who have taken anti-biotics or birth control pills in the past. These individuals struggle with sugar, dairy, bananas and wheat. They may also have issues with high oxalate foods and may need to avoid these for a period of time. To heal Candida gut, it is advised to take all sugar, grains, starches and fruit out of the diet. The best foods for healing this condition include bone broth, coconut oil, garlic, onions and Pau D Arco tea. This is the individual who has excess emotional stress that causes the body to go into a chronic fight or flight mode. We cannot heal in fight or flight, so these individuals develop leaky gut as a result of hyperactive adrenals. These individuals need to focus on warming foods, lots of B vitamins, minerals and adaptogenic foods and stress reduction techniques. It is very important for these individuals to prioritize rest, relaxation strategies and deep breathing. This is triggered by a bad diet over time that leads to chronic food sensitivities and autoimmunity. These individuals need to focus on a specific food elimination diet that is often very restrictive as they work on healing their gut and reducing their stress response so they can heal effectively. Begin by eliminating the top 10 most common food sensitivities including milk, eggs, grains, soy, shellfish, peanuts, sugar, alcohol and all nuts. They may have to eliminate nightshade vegetables for a period of time as well. Over time, you begin to reintroduce some of these to see how you tolerate them. These individuals may at times suffer with histamine intolerances that need to be addressed as well. These are individuals who struggle with acid reflux. Avoiding grains, spicy foods and acidic foods such as citrus, tomatoes, cheese, dark chocolate and alcohol is especially helpful. These individuals typically do very well with lots of vegetables and bitter herbs such as dandelion, garlic, ginger, radishes, parsley and root vegetables like carrots, beets, pumpkin and squash. These individuals often benefit from supplementing with digestive enzymes, probiotics, hydrocholoric acid supplements, ginger, aloe vera and apple cider vinegar. Chinese medicine describes individuals with gastric gut as having a tendency to be overdramatic and/or aggressive. It is recommended to laugh, show more gratitude and praise others as a part of the healing response. These are individuals who have a sluggish liver and gallbladder. These individuals often struggle to digest fats and have issues with larger meals. It is best for these individuals to eat small meals and use fermented foods and drinks in each meal. These individuals may also have problems with forgiveness and bitterness which houses itself in the liver and gallbladder. Just like individuals with gastric gut, folks with toxic gut do well with lots of vegetables, bitter herbs, herbal teas and fermented foods and drinks. Some of the best supplements for these individuals include digestive enzymes with lipase, ox bile and bile salts. They also do great with increased greens in the form of juicing or supergreen supplement formulations and probiotics. The idea of eating dirt is especially helpful for individuals with toxic guts. 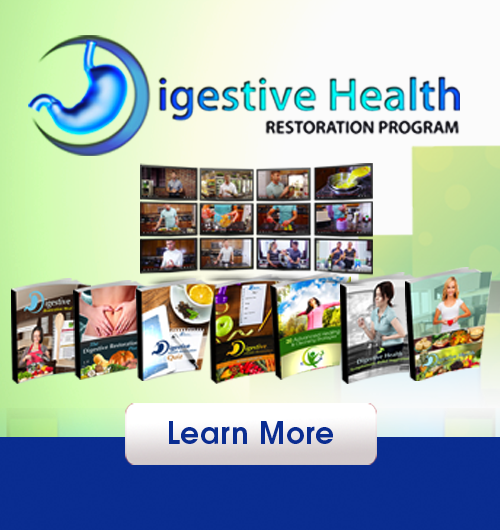 Having healed my own struggles with irritable bowel syndrome years ago and helping hundreds of clients heal their leaky gut issues over the last 10 years has given me a level of expertise in this field. This is why Dr Axe sought me out for an endorsement. I am not too quick to give these, I always want to see the quality of the content within the books that I am sent by various authors. I have turned down other requests as the material was not in line with what I teach. Beyond studying research articles, I have read about 100 great books on the microbiome and gut healing and found Dr Axe’s book, Eat Dirt, to be one of the very best. It is a fantastic read for both practitioners and the average lay person, giving an in-depth very understandable explanation of the root cause of most health conditions and laying out a step by step program and protocol to get well naturally.